The challenge addresses the unsupervised identification of people. More specifically, participants need to provide for each shot the list of names of people who both appear and speak, using as only information source the available videos. In addition to french and catalan news and documentary programs, this year challenge included several hundreds of Deutsche Welle program in both the German and English, which included challenging dubbing sections. 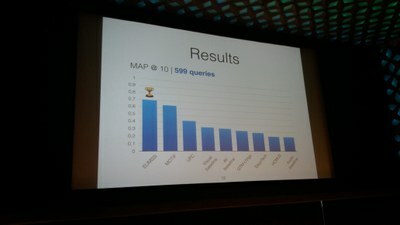 The EUMSSI team ranked 1st, with a 7% advantage over the second team. 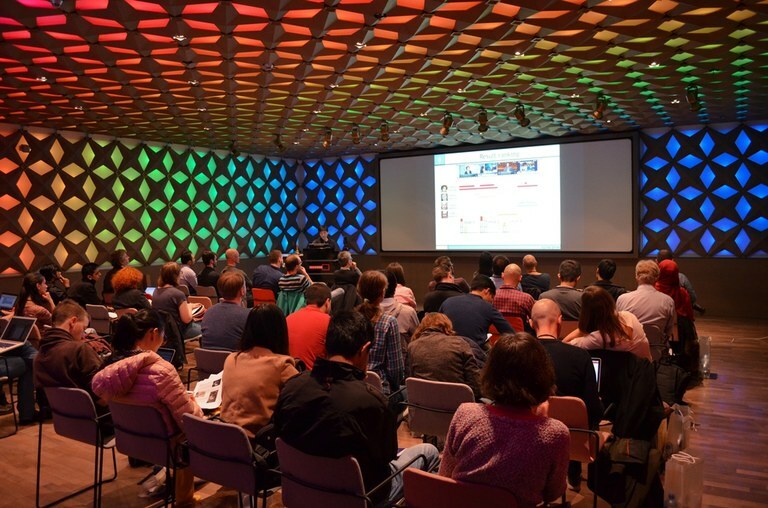 MediaEval took place on October 2016 at the Netherlands Institute for Sound in Vision in Hilversum, right after the ACM Multimedia conference, the premier conference on multimodal data analysis.